PROVIDENCE, R.I.– The Granny Squibb Company has announced that in the wake of growth, Jamie Schapiro will join the team as CEO and Emma Haskell as project manager. “This is a very exciting time for The Granny Squibb Company and as we look to grow and expand our presence in RhodeIsland this year. 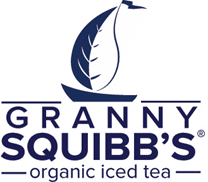 Jamie and Emma bring another level of experience and man power that will help us meet our business goals and to make Granny Squibb’s Organic Iced Tea a household name,” said Kelley McShane, partner of The Granny Squibb Company. In early 2019, the team retained Aperture, a business consulting firm founded and lead by Jamie Schapiro to evaluate the company and build a business plan that would lay the foundation for further growth. Following development of the business plan, the team found great value in Schapiro’s experience and retained him as CEO. He has more than two decades of experience successfully driving the development, launch and growth of differentiated consumer goods and services at industry-leading start-ups such as Jamba Juice, Clif Bar and Premama; and mature companies like Stirrings, Galaxy Nutritional Foods and TriNet made him a perfect fit. Emma Haskell will assume the full-time role of project manager, following a part-time position since summer 2018. As project manager she will oversee social media, research, event coordination and planning, product demos, website development and assist with ongoing projects. A combination of her education at UMass Amherst and more than eight years working in the hospitality and beverage industry has provided her with the real-world tools to elevate The Granny Squibb Company in the community. Over the next year, the team will focus mainly on growth in Rhode Island and New England. Their first priorities include further engaging with current retailers including Dave’s Marketplace, Whole Foods, Roch’s, Wegmans and other local stores while looking to grow their presence in restaurants, coffee shops and farmer’s markets. In 2009, Robin Squibb realized a business opportunity in bringing her grandmother’s “astonishingly delicious” iced tea to market. Founded in Providence, Rhode Island the company now offers three distinct flavors – all available sweetened or unsweetened. Granny Squibb’s organic iced teas are sold in grocery retailers throughout New England including Dave’s Marketplace, Wegmans, Roch’s and Whole Foods. For more information visit grannysquibb.com.